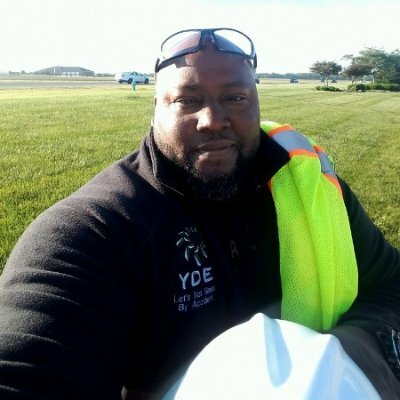 As a Certified Safety Professional with more than 18 years of experience in Environmental, Health & Safety, and DOT, Samuel L. Hawkins Sr., CSP, ASP, CHST has experience that spans across program development, implementation, training, and management—ranging from construction and manufacturing to refinery and pipeline. Early in Hawkins’ safety career, he simultaneously maintained a career as a Professional Boxer. His experience in the sport while working as the full time Health & Safety Manager for a hazardous waste emergency response company is part of what he credits as being the reason why he’s consistently able to meet deadlines and effectively communicate with all levels of an organization. Hawkins has become known for his ability to get incident reduction results. He has worked with companies to achieve incident, vehicle accident, workers’ compensation, and insurance reductions. He’s also helped dozens of companies to develop programs that meet OSHA and DOT compliance requirements, his programs have been approved by third party auditors ISNetworld®* RAVS™, PEC Premier®, PICS® Auditing, and MICCS. Hawkins is also founder of Your DOT Experts, LLC. (YDE) where he built an elite team of Safety Professionals who provide Safety and DOT solutions. Though YDE provides these services for large organizations, Hawkins does have a soft spot in his heart for small organizations, too; no matter the size of the company, he helps organizations to keep employees safe, maintain compliance, and remain profitable. With safety, as they always say, “Nobody chooses safety, it chooses you.” My decision was also influenced by the first safety manager for a company I worked for: I was working in a health club and I took a position for a company that did hazardous waste cleanup and disposal, and I actually worked in the field as a HAZ waste technician. With that, you do a whole bunch of training upfront: Confined space, fire protection, etc. before you ever get in the field. That was my first introduction to a safety professional. Before that, I didn’t even know what one was because they didn’t have them in the other companies I had worked for. Just going through the training, seeing his enthusiasm in safety was inspiring. Then once I got in the field, it was different. This was a union shop that had technicians, truck drivers, and everybody in the field really respected what he did. They truly understood his importance–because we dealt with all kind of chemicals. This was going back to when we were having some of the anthrax scares. This was a company that responded to those, and they really understood [the importance of what he was doing]. He essentially had their lives, in his hand, and I liked the idea of that. At that point, I was on the fence of studying for a firefighter test to become a firefighter, and so it was a toss up–firefighter or safety–and then I went with safety. If you are a safety professional, I think you have to understand what drives your company and what drives senior management, and what the overall goal of senior management is. That way you are able to speak their language, and tie safety to what they’re doing [and the organization’s goals]. Often with safety, people can approach it as if it’s separate within the business. What’s important is to tie safety into the company, and align safety into what you’re doing. If our goal is to create 100 widgets a day, how do we tie safety in that versus making that a separate component? If people don’t recognize safety, or it’s a fight to [promote and support] safety, because it’s in addition to what they’re trying to do, you will have [a harder time]. One of the situations that changed me, early on, was going back to that company where I had the safety guy that influenced me so much. It was one year later, and I ended up being that company’s Safety Manager, because the safety manager that was there had moved on. I had no experience, and very little college, and safety was my first job in the profession. I had worked in the field with these guys for about two and a half years, so I knew that side, but I didn’t know all the regulations. I didn’t know any of that. A lot of what I did in safety was continuing what the previous guy had done. An incident we had was one of our guys was working in a shop that had a huge parts washer, and we would go in and do quarterly cleans on this part washer. They used an industrialized dish detergent to wash parts that ran through there. About a minute later, the man took off running out of the parts washer, and according to the supervisor who told me on the phone, he ran into the parking lot, and he was running up and down the parking lot, trying to cool his eyes off. They got me on the phone, and I’m hearing this guy— a 40-year old man—screaming and we were trying to figure out what was going on. I rushed to the site. I got him over to a clinic. We’re sitting there, and it was a walk-in clinic.They had him sitting there for about a minute, and he’s grinding and digging his hands into his legs, trying not to scream. Finally…they look in his eyes. They are already starting to dilate, and we had to rush him to have emergency eye surgery to get caustic burns lasered off of his eyes. This guy ended up losing his sight for about a week and a half. Everyone should understand that safety is a team sport. Some companies have a safety guy. Many companies don’t have safety at all, though. But for any safety program to be effective, more than just the safety person has to be involved in the program. Employees have to buy-in. Senior management also has to have buy in, and be bought in. We don’t just write programs, but everybody acts it out. The guys that are hands-on, doing work, they need to see senior management buy in, as well. It’s a team sport. Just like if it was a sport, the coaches, they practice what they preach, too, to be succesful. It’s the same thing with safety. That’s a tough one; I’m sure I’m not the first person where’s that a tough question to answer! If I had to say my superpower, I would say it’s my smile. When I first got into safety, so many of us had heard that term, ‘Safety cop,’ and it was the idea of the guy that showed up serious, with a clipboard, and he wrote you up for 10 things, and then walked off site. The next time he comes around, they’re doing it again. I learned no matter how deadly the situation is, approaching that worker, or that supervisor, or that owner with a smile, explaining the hazard, explaining the requirement, and helping them figure out what to do while I’m smiling, it changed the perception and it changes how it was accepted. Early on, I did not [always know that], and you immediately get fight back. It’s accepted so much better just with a smile.